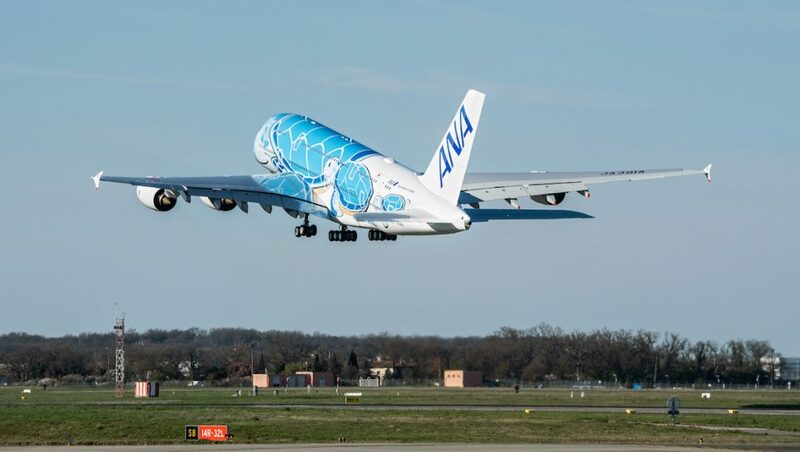 All Nippon Airways (ANA) has taken delivery of its first Airbus A380 from the manufacturer’s headquarters in Toulouse. 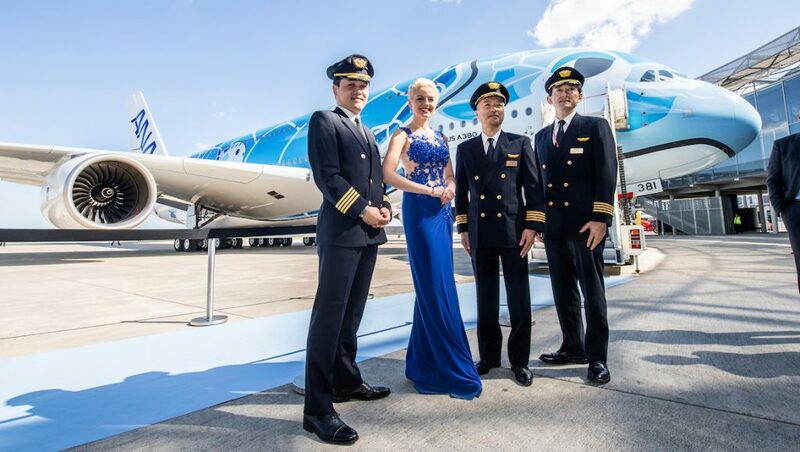 The Japanese carrier received the first of three A380s on order at the official handover ceremony on Wednesday (European time). 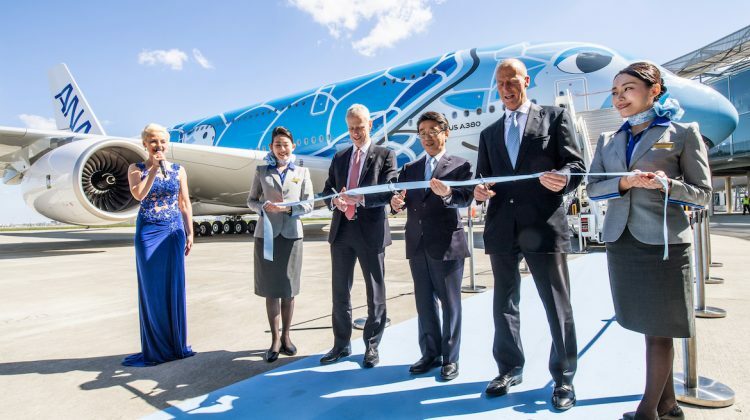 It is the 15th operator of the world’s largest passenger aircraft and plans to use the A380 between Tokyo Narita and Honolulu, with flights starting May 24 2019. 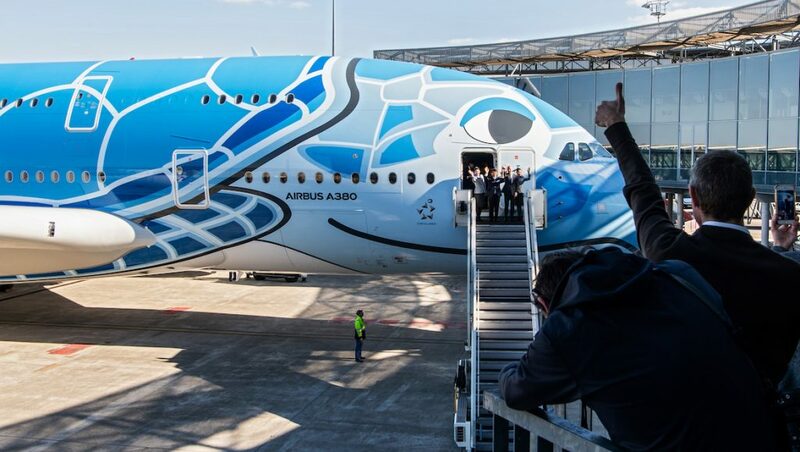 The aircraft, registration JA381A, features a striking blue livery showcasing the Hawaiian green sea turtle, known as the Honu. The second and third A380 will also have the Honu on the fuselage, albeit in in green and orange, respectively. 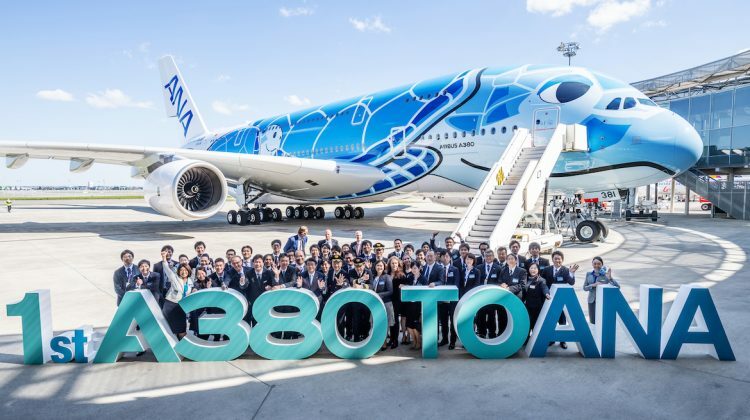 ANA Holdings chief executive Shinya Katanozaka said the A380 would introduce a new level of service for passengers travelling to Hawaii, which is a popular holiday destination for Japanese residents. 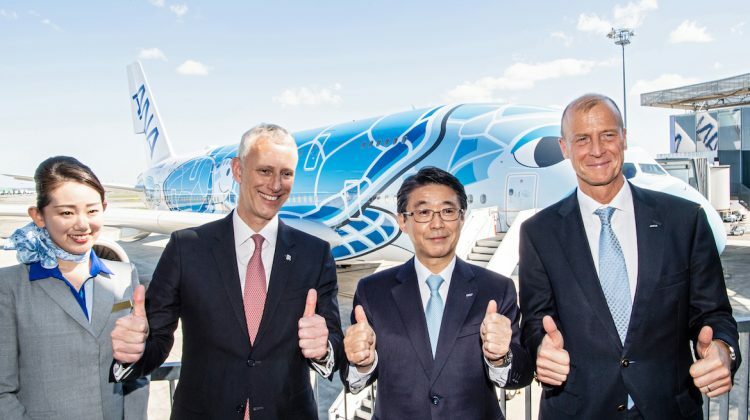 “We believe the A380 will become a game changer for ANA and will enable us to increase our market share by doubling the number of seats connecting Honolulu and Tokyo by 2020,” Katanozaka said in a statement. 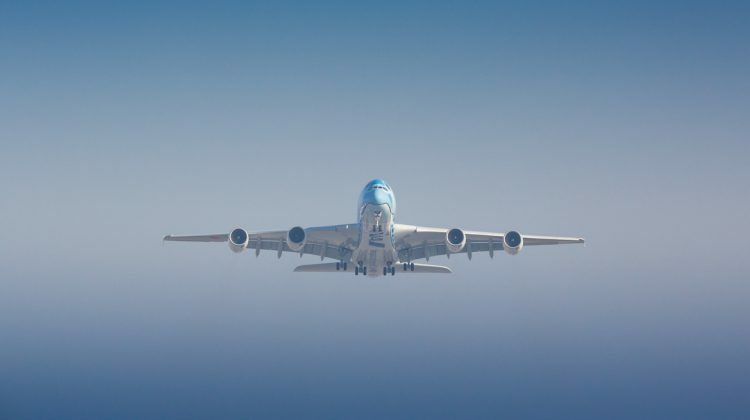 ANA has configured its A380s to carry 520 passengers in a four-class layout comprising eight first class and 56 business class seats on the upper deck, as well as 73 premium economy seats and 383 economy seats. The airline is also offering the “couch seat” concept in economy class where three or four seats can be purchased together offering passengers more space. It is the first airline in Japan to operate the A380. 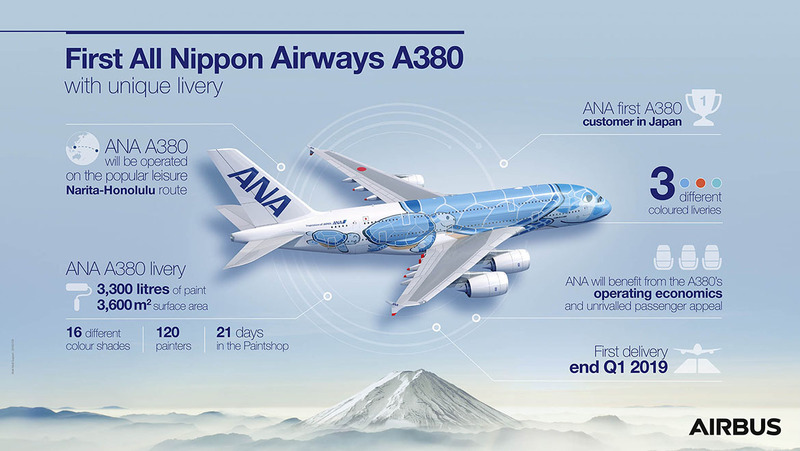 Airbus chief executive Tom Enders said he was confident the aircraft would be highly successful in service with ANA. “Airbus is proud to deliver this beautiful aircraft to ANA,” Enders said. 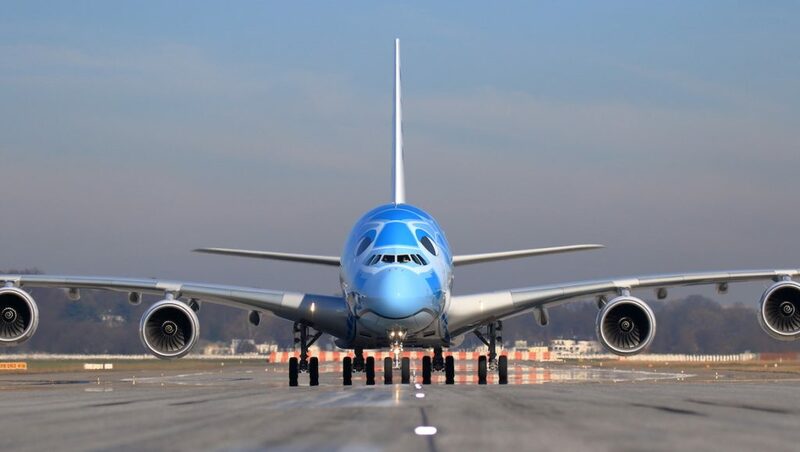 Airbus said the delivery of the A380 to ANA meant there were now 232 of the type in service with 15 airlines. Further, the aircraft was operating on 120 routes. In February, Airbus announced production of the A380 would end in 2021 amid a lack of orders and after Emirates chose not to firm up an memorandum of understanding (MoU) signed in January 2018 that comprised orders for 20 A380s and options for 16 more. Instead, Emirates signed for the A330neo and A350-900. Airbus and engine manufacturer Rolls-Royce have said previously they would continue to “fully support” all A380 operators. VIDEO: The official delivery ceremony of All Nippon Airways’ first A380 at Toulouse from the Airbus YouTube channel.